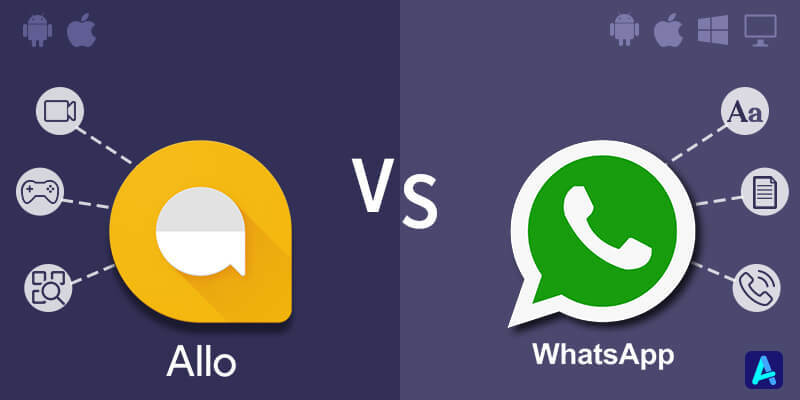 Google Allo vs Whatsapp: Which One is Better? At the Google I/O conference this year, an announcement about the arrival of Google Allo was made. With this messaging app, Google displayed its vision for a more ubiquitous way of interacting with technology. It is a messaging app for iOS and Android, allowing you to chat more easily. There is no denying in the fact that this app has some amazing features such as Smart Reply as well as Google Assistant integration, but it still has a long way to go in order to become the big thing in messaging apps. If you have ever used Allo, then you must be aware of its amazing features. However, if you are new to this app, then the listed below information is just for you. It is said that like Whatsapp, Allo has all those features, which you would expect in a messaging app such as custom notifications, an ability to share location and media, GIF support, read receipts, group chats and voice messages to name a few. This feature gives you an option of increasing or decreasing the size of a text. The main motive of this feature is to make your views more expressive. In order to increase or decrease the size of your written text, you are required to just type a text and then needs to hold on the send button. This feature is integrated right into Allo and you have an option of using it in the between of chats through @Google or you can also use it in chat thread. Under this feature, you can ask what you can do, which helps you in knowing all the functionalities. In other words, weather info, news, flight info, translate languages, play games, nearby places and navigate etc. can be taken out. This type of chat mode is similar to a secret chat feature of Telegram. This feature shows a self-destruct timer, messages you send are end-to-end encrypted and self-destructing messages. Allo gives you an option of sticker store from where you can download several stickers of your choice. However, at the moment, the store does not include a wide assortment of stickers, but this will change soon in the coming days. Last seen is said to be a great way to know whether a person is active or not, which Allo does not include. In addition, it also does not gives you the chance to turn read receipts off and it also lacks status update feature. 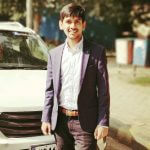 If you have a decent internet connection, then you can easily make whatsapp calls. The best thing about this feature is that it also acts as a data saving mode, which means that there is no need to worry about losing a lot of your mobile data. So, if you have become addicted to this feature, you are definitely going to miss in Google Allo. Allo also lacks the feature of backup support. This means that while uninstalling or reinstalling an app on your device, you only get the names and no chats. Talking about security, Allo lacks a bit. This is because it only incorporates end-to-end encryption in the incognito mode. Thus, it can be said that it does not offer the most secure process. Google Allo surely has come up with some unique features, but we can’t deny the fact that it lacks some most important features. It is seen that we only use those apps, which are being used by our friends. Hence, the concluding line is that you can love Allo, but it will clearly depends on its usability by your friends.